Grandeur from the Finesse range of steel cladding was used at the Opal Carine aged-care facility in Perth. Architect: Silver Thomas Hanley. The Fielders Finesse range of steel cladding includes five unique profiles: Boulevard, Shadowline 305, Prominence, Grandeur and Neo Roman. 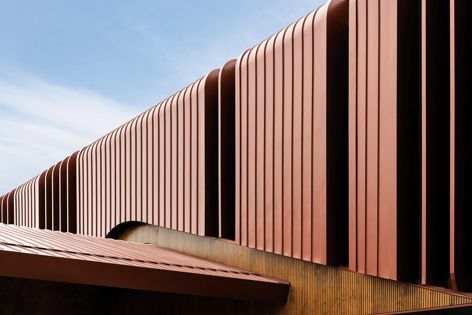 Suitable for use in walling and roofing applications, these profiles have been designed to combine the aesthetic appeal, durability and flexibility of steel cladding.